The other night I took dinner over to my friend Mimi’s because she recently had a baby boy and I know how difficult it can be to take time to make dinner. It was a dreary, rainy day so I thought I would make a pot of hearty soup to warm the soul. I needed something else to go along with the soup and immediately I thought of pan inis. 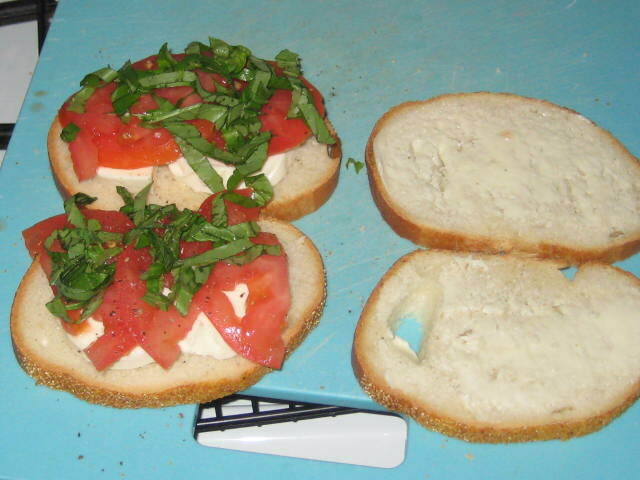 I used a sliced loaf of italian bread and layered in between slices of tomato, fresh mozzarella, fresh basil, salt, pepper, and balsamic vinegar reduction. I finished it off on my Cuisinart panini press and it turned out to be a hit. 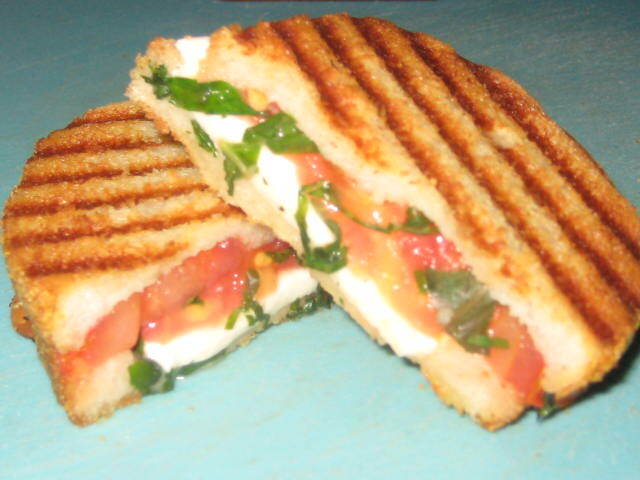 When in doubt, a practical panini is the perfect pairing for a bowl of soup. Second Half In the Bag!